San Francisco is a city that you could spend a weekend in and not get a chance to see everything it has to offer. It’s a beautiful city with plenty of entertainment, historical landmarks, cuisines, and much more. If you get a chance to spend a weekend in San Francisco, you’ll want to have a plan for what you do and where you go. That way you make it a point to see and experience everything you want without getting side tracked. 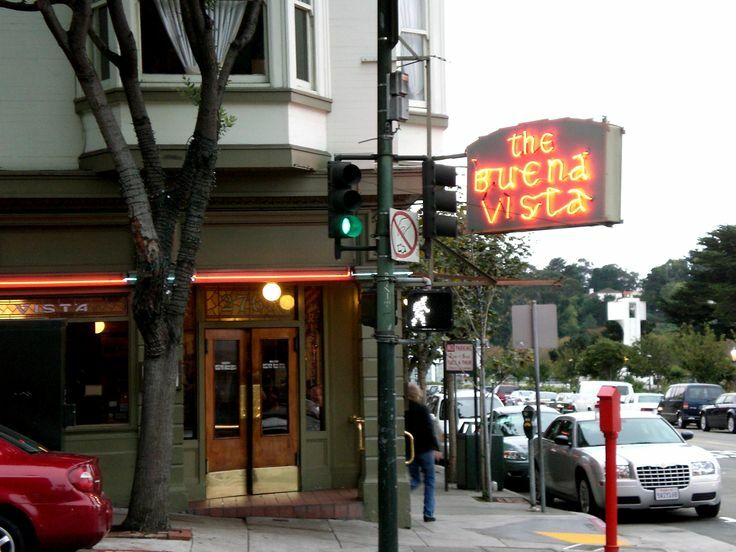 If you like coffee, and you like Irish whiskey, then Buena Vista needs to be your first stop to start the day in San Francisco. Not to mention they have over 1,500 google reviews and average a 4.4 stars. Arriving early is important because this place is always busy as it’s known for having the best Irish coffee you can buy. There are spots at the bar, or you can have a seat at one of the large round tables, if there is room. This is a great place to start your day because it’s walking distance from the wharf. If you love history then you have to take a ferry ride to the most infamous landmark in all of San Francisco. If you lived under a rock since birth, Alcatraz was a federal prison on an island just 1.25 miles from land from 1934-1963. There are scheduled tours going to the island on a daily basis, which is why you’ll need to book a trip in advanced if you want to have a spot on the ferry. When you step off the boat and onto the island of Alcatraz, you’ll be greeted by your tour guide who will show you Alcatraz inside and out. You’ll also be given headphones as you’ll listen to historical facts as you walk through different rooms of Alcatraz. You can still feel the chilling history of Alcatraz today. The beer garden is a seasonal event and begins during the spring and runs through the end of summer. Surrounded by small shops and the famous Ghirardelli chocolate and ice cream shop, the beer garden is a place full of hops and entertainment. This is a great place to enjoy a cold beer on a warm day with live music and entertainment. Fisherman’s Wharf alone can provide enough entertainment and fun to last a whole day. Here you can walk along the wharf and occasionally stop for the different street performers showing off their unique talents. Most of these street performers are worth stopping and checking out as they are typically something you won’t see anywhere else. The wharf also has a lot of historical monuments where you can learn about San Francisco bay and what life was like many years ago. The wharf is also a great place to find food as there are several local seafood restaurants, which are most commonly known for their clam chowder bread bowl. The wharf is a great place to spend time with family. Of course San Francisco has much more to offer than these locations. If you get one day in SF then you can’t go wrong with hanging out at these spots as they are all relatively close to each other. Spending the day in San Francisco could be enough for some people and families to decide to want to move to San Francisco. Published by Dawn, in Travel. Tagged with Day Trip to San Francisco.